Bobo Shashi (Tamil: போபோ சஷி : born 12 October 1981) is an Indian film composer from Tamil Nadu, India. 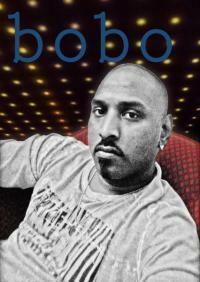 Shashikanth (a) BoBo Shashi was born in Chennai, Tamil Nadu, India to a musically affluent family. His father Murali, is a famous composer who composes along with his brother Sabesh. His cousins are Jai and Srikanth Deva. Prior to Kulir 100° he assisted Srikanth Deva, Sabesh-Murali, Deva, Vidyasagar. . This article about an Indian composer is a stub. You can help Wikipedia by expanding it.